for talking about their single, Apart, and how it came together. I was keen to know how the duo got together and the music that inspires their sound – I learn about their upcoming tour plans and which rising artist we need to look out for. KIDSØ discuss their path into music and what the music scene is like in Germany; what advice they would give to artists coming through; how they unwind away from music; what their favourite memory from their time in music is – they end the interview by selecting a cool song. Hi, KIDSØ. How are you? How has your week been? The last few months we were quite busy working on our E.P. We both decided to take a few days off to from music producing. We just came back from last weekend at the lake Schliersee in Bavaria. That was quite relaxing and we had time to think of 2019 and to create a road map for us. 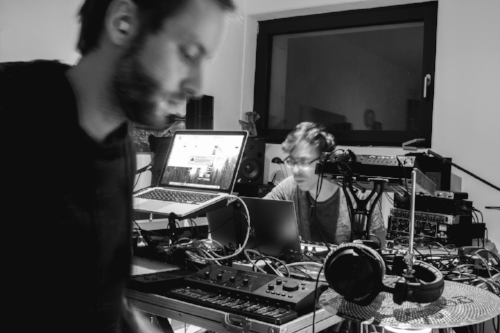 We are Moritz and Martin and play some kind of down-tempo, organic Electronica. We both started playing drums and like to focus on beats and rhythms. Moritz is more responsible for harmonies and melodies; Martin plays the beats and percussion. How did KIDSØ get together? When did you all form? Martin moved to Munich six years ago. At that time, he was looking for some other musicians to play some music. At that time, we both met for the first time and we immediately started to play in our first band together. KIDSØ was formed years later based on the music we played since we met. Your new single, Apart, is out. It is from the E.P. of the same name. Are there particular themes and stories that inspired its creation? We produced almost all songs of the entire E.P. close to a Bavaria lake in a small and quiet house. We took all our equipment from the studio and moved for several weekends and days to that place. That was quite motivating. We tried to combine the environment we had there with our music. Some of the rhythms and sounds you hear on the E.P. are based on elements from that lake. For example, the sample of that whale you hear in the song actually was a bird we took from there. The artists we grew up with inspired us to start learning and playing our instruments. As we started with KIDSØ, we also listed a lot to artists like Christian Löffler, Parra for Cuva or Ólafur Arnalds. They pretty much influenced us and the music we create today. As a German duo, what do you think of the scene there? Is there a big market for Electro artists? 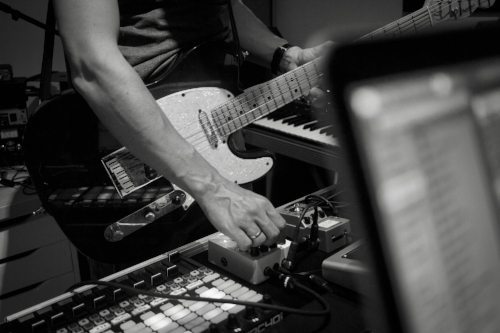 Most artists and labels in of Electronic music in Germany are located in Berlin. Compared to Munich, the city we both live in, the scene is not that strong here but definitely evolving. We are proud to be part of that process here in Bavaria. We will release our debut E.P. on 26th October this year. We put all our efforts into that release and will promote our release and music from then on. But, we will see. A few gigs are still in the pipe for the next months. Have you each got a favourite memory from your time in music so far – the one that sticks in the mind? That was definitely a concert we both played together in 2014. We played a show in the Muffathall in Munich. All 2,800 tickets were sold and the venue was fully packed. That was impressive and still motivates us. We both share playlists on Spotify - it is hard to say that there is this one album. But, we can say that there are some songs and artists which means the most to us. For example, tracks like Window from HVOB or Blurred from Kiasmos. We love the current tour of Ólafur Arnalds. He has incredible stage equipment with him on all concerts. We would definitely want to have a full piano with us on stage at some point in time. That would be that key element in our stage rider. Can we see you on the road this year at all after your album launch? We are touring in Germany end of this year and beginning of next year. You should check our channels as we will announce some shows for spring 2019 in a few days. Stick to that music you like and not what others want you to do. Our label, Finest Ego, is pretty well known for discovering some new evolving artists. You should check out their artists like Owen Ross. We would love to, but do not find enough time to do so yet. We sometimes just take our boat and paddle on the lake Starnberg or Ammersee. That gives us the opportunity to unwind from daily life. Finally, and for being good sports; you can choose a song and I’ll play it here (not any of your music - I will do that).